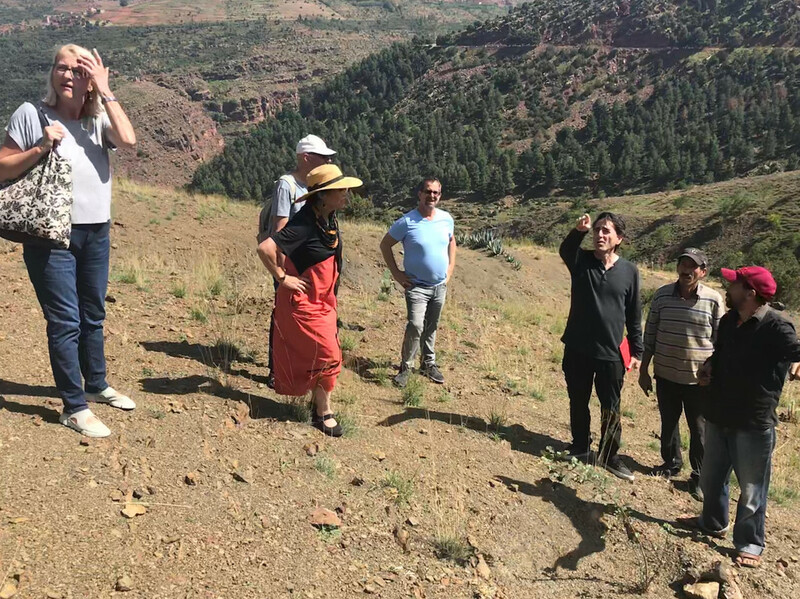 A typical day’s work for the High Atlas Foundation (HAF) varies greatly depending on the role of a staff member, the region of Morocco in which they work, and projects that are being planned, prepared to be implemented, or that are currently being administered. During any given day, organic fruit trees are being delivered to and planted in communities; tree nursery infrastructure and cleaning drinking water systems are being constructed; youth and women are being trained in skills building or engaging in activities that result in economic prosperity; communication with our national and international partners, Moroccan government officials, as well as communities is being coordinated to further human development; efforts are being made to secure funding to continue sustainable projects; and HAF staff is utilizing the participatory approach when meeting with community members in various provinces jumpstarting, assisting, or following up with previous projects. The event began with opening remarks by Ms. Fatima Zahra Laaribi, HAF’s Women’s Empowerment Trainer and Financial Manager. Following, Mr. Abderrahim Gahwan, the President of Ait Taleb Municipality of Rhamna, shared how HAF not only helped his community but also his personal development. For example, he credits learning the participatory approach from HAF for leading him to his position as President and for leading successful projects in Ait Taleb. 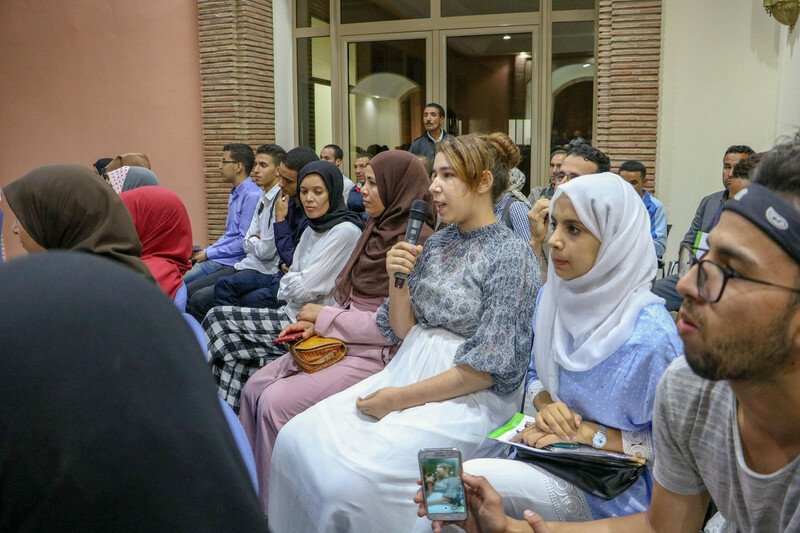 Similarly, Ms. Rachida Outichki, the President of the Aboghlou Women’s Cooperative of Ourika, discussed how participating in HAF’s women’s empowerment training built her and her female peers’ capacities to talk about themselves and pursue projects. Aboghlou is a successful cooperative that exports calendula (a Moroccan medicinal herb) to L’Oreal in France and sells food products such as couscous. HAF staff took to the podium as well. Dr. Yossef Ben-Meir, HAF co-founder and President, led a moving conversation on the progress of development in Morocco and the necessary means to further advance economic prosperity, livelihoods, and gender equality. 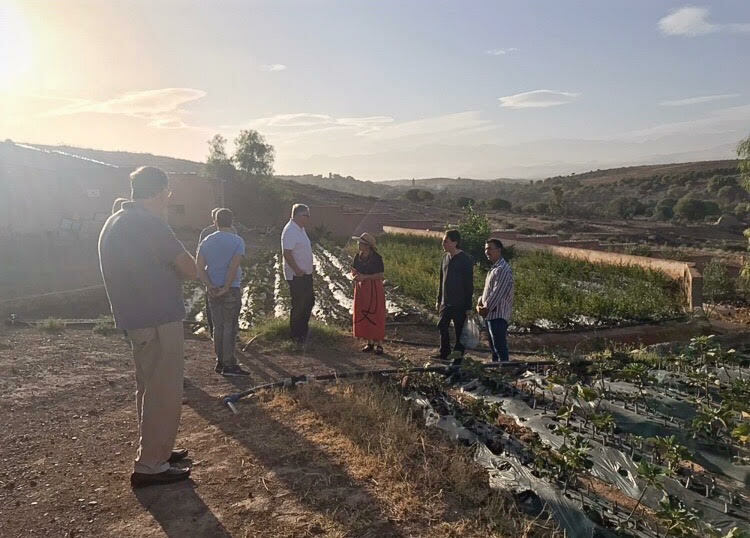 Dr. Ben-Meir explained how HAF contributes to a vision for development in Morocco occurring now and in the future, but it is the local people who ultimately turn each of their own visions into reality and sustain the impacts. 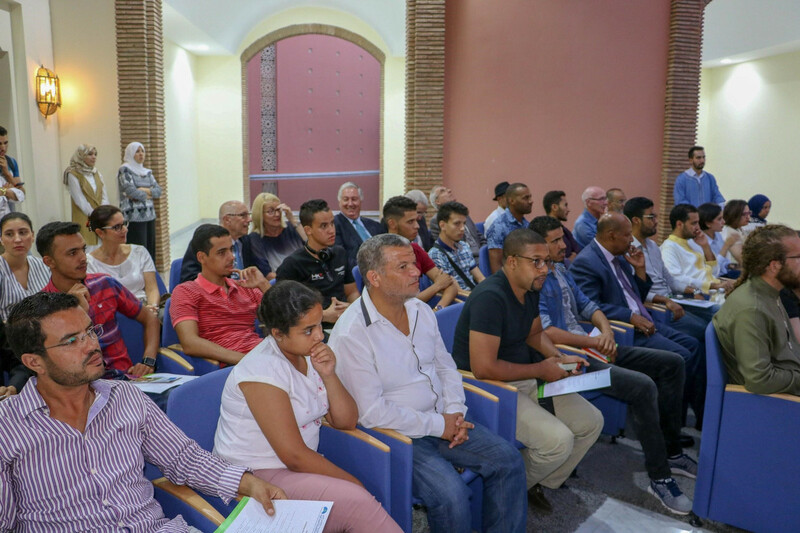 He effectively elicited motivation from Moroccan attendees who, during the “open mic” segment of the event, “wonderfully expressed their visions and brought up good project ideas,” as Mr. Montassir described. Dr. Ben-Meir also encouraged university students and younger generations to continue development in their communities and to implement projects not only for themselves and their families but also for future generations. Said El Bennani, HAF Project Manager in Fes and Ifrane, seconded this notion. “Youth participation in development means a lot. Without youth, we are not working forward in development.” One primary school-aged girl sitting in the audience announced the pride she has in having participated in the annual tree planting event led by HAF this past January.